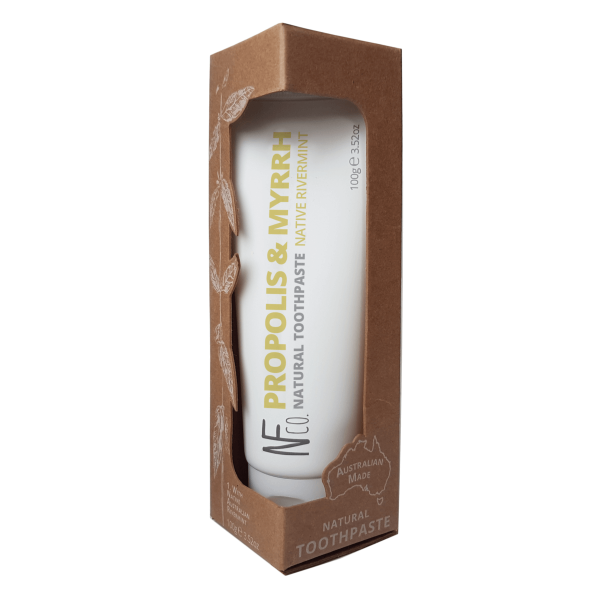 Propolis and Myrrh both have naturally occurring anti bacterial properties that help slow down the formation of plaque through the day. 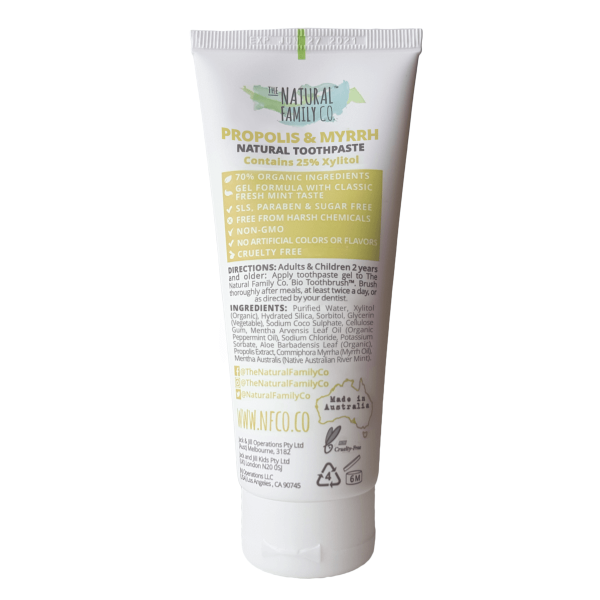 Caution: Do not use if you have an allergy to bees or bee products. 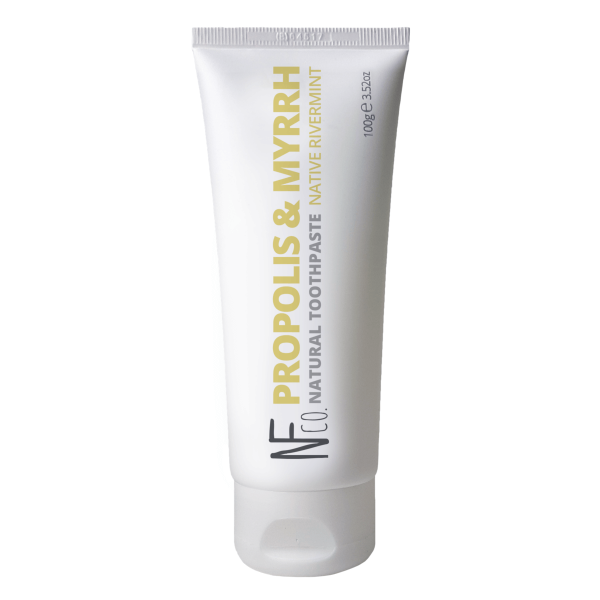 The Natural Family Co. Natural Toothpaste - Propolis & Myrrh 100g With Native Australian Rivermint 70% Organic Ingredients Gel formula Free from fluoride, sls, parabens & harsh chemicals Caution: Do not use if you have an allergy to bees or bee products. 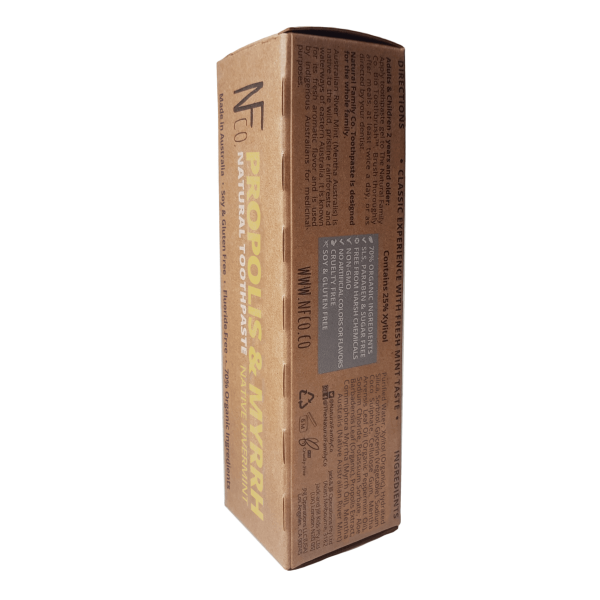 Order now - We ship to Europe!